2 FREE buttons! Online exclusive! The Official double cd of the Eurovision Song Contest containing all 43 songs from European favorite tv show! 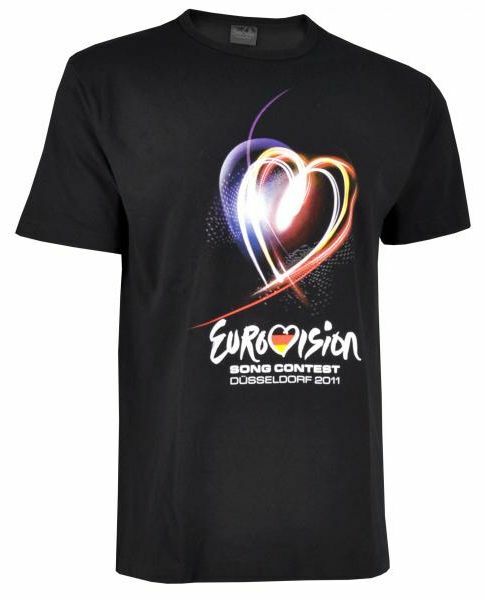 This shirt bears the official event logo of the Eurovision Song Contest of 2011. This year, the visual identity goes under the slogan "Feel your hear beat!". The symbol of the theme is a pulsating heart made up of multi-coloured light rays. A beautiful shirt with a beautiful logo for every fan. Издание содержит 16-страничный буклет с фотографиями и текстами песен на различных языках.